The Suncoasters of St. Petersburg, in conjunction with the City of St. Petersburg and the St. Petersburg Arts Alliance, are promoting a new festival of the arts. 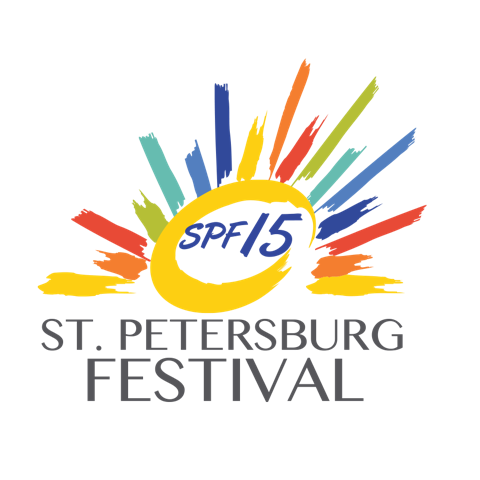 The St. Petersburg Festival, known as “SPF 15” for short, will begin on September 11 – 27, 2015. SPF 15 consists of over 50 events and activities being produced by local and national artists, arts organizations and arts-related businesses in and around the City’s 5 unique arts districts. Details about all of the events can be found here but if you like to see what is specifically happening in the Warehouse Arts District during that time, we’ve listed those events below. Showcases the City of the Arts with vibrant, creative and inspiring murals from local and international muralists in public spaces spotlighting the arts districts of St. Petersburg. Warehouse Arts District member, Carrie Jadus is working with the Vitale Brothers on a wall at Genius Central located in our district. Presented by A'Lelia Bundles, Madam Walker's great, great granddaughter and biographer. Dispels myths and puts into perspective the unique position of black hair in American cultures. The public is invited to share personal bicycle stories that could be about learning to ride, your best bike trip or how you met someone special on a bicycle built for two. Program coordinated by Wheely ALive's Camille Soleil and Dawn Rowland. Trolley tour throughout the Warehouse Arts District & downtown St Petersburg visiting over 25 art studios, galleries and boutiques. The permanent home of a series of 20 to 25 paintings, some 8’ x 10’ in size, by Judith Dazzio. Will travel worldwide starting in New York in April of 2016. Features Thomas Maras and Todd Cameron, two young and accomplished glass artists. At 3 p.m., they will lecture at the Museum of Fine Arts, St. Petersburg. Brilliantly crafted songs, passionately delivered. Features local bands, authentic German food, arts/crafts vendors, a kids’ area, a series of Oktoberfest-themed games and BEER! Get exposed to the local arts renaissance taking place in St. Pete along with the craft beer, wine, live art demos and local music that Tampa Bay has to offer. The Central Avenue Solstice is an all-day celebration of events along Central Avenue - starting with yoga & coffee at sunrise on the East end & culminating with a Movies in the Park at sunset on the West end. At the Craftsman House Gallery, potters from there & throughout the Warehouse Arts District join forces for an all day clay throw-a-thon!